Even outside its role in the hydrologic cycle, the ocean has a major effect on climate. In particular, oceans can have a major impact on temperature, in part because water has a high specific heat. Specific heat is a measure of the amount of energy needed to increase the temperature of a substance by a set amount. So to say that water has a high specific heat is simply to say that it heats up (and cools down) more slowly than many other substances. The high specific heat of water should be familiar from many everyday situations. For example, on the beach on a very hot day, the sand can burn a person's feet even when the water is relatively cool. This is true in part because water heats up more slowly than sand. Furthermore, in winter, lakes often remain liquid even when the ground is frozen because the water cools down more slowly than the land. The way winds interact with the ocean also have an important impact on climate. 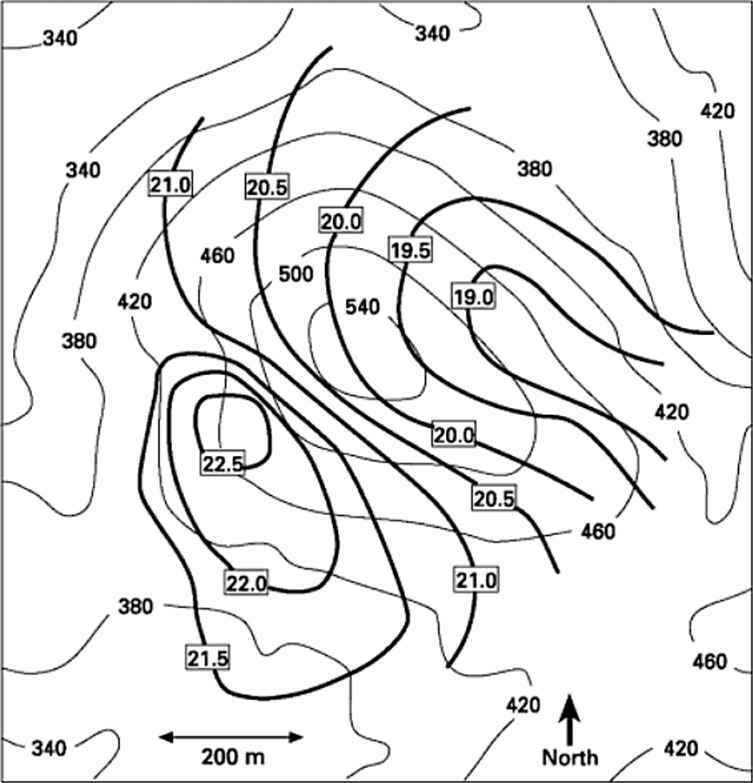 For example, along the eastern seaboard of the United States, winds tend to move from west to east. Thus, because the wind is coming across the continent, rather than off the ocean, states such as New York and Massachusetts do not have a maritime climate even though they are close to the ocean. Instead, they have what is essentially a continental climate.